Take a 2-hour walking tour of New Orleans’ fabulous French Quarter and learn more about gay life and the LGBT scene in the city. You will hear the best city gossip! Visit the homes of Tennessee Williams and other renown luminaries of the 20th century and find how why it wasn't just an accident that genius thrived in the Vieux Carre on the way to the lovely Hermes Bar and a special Cocktail du Jour created for you by a master bartender. Catch a ride on the Carousel in the beautiful Hotel Monteleone with the perfect Hemingway Daiquiri, one of their most famous drinks and one of our very favorites! It's pink, after all! Did you know that Liberace was a headliner there? The Napoleon House has been a favorite watering hole of the artists and writers of the fabulous French Quarter for many years. Our cocktail offering there is the Pimm's Cup, quite possibly the only bit of British tradition ever to take hold in this Latin-Caribbean city! 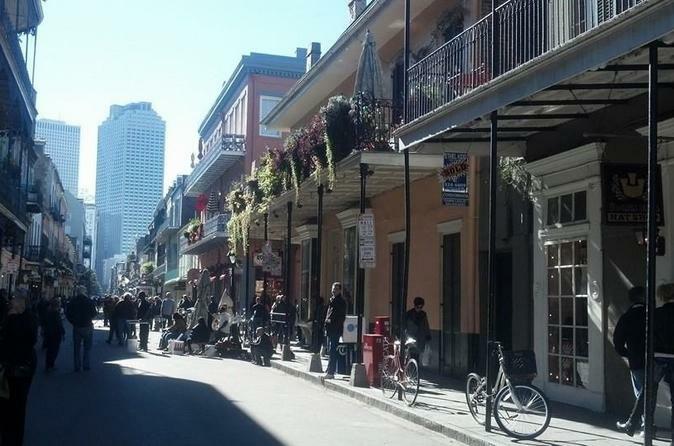 Walk the very streets and visit the same hang-outs walked and frequented by Capote, Hellman, Rice, Stein, Faulkner, and so many others who have made la vie en rose a la Nouvelle Orleans renown throughout the world. Find out about Miss Dixie and her All-Girl Jazz Band, and so much more!